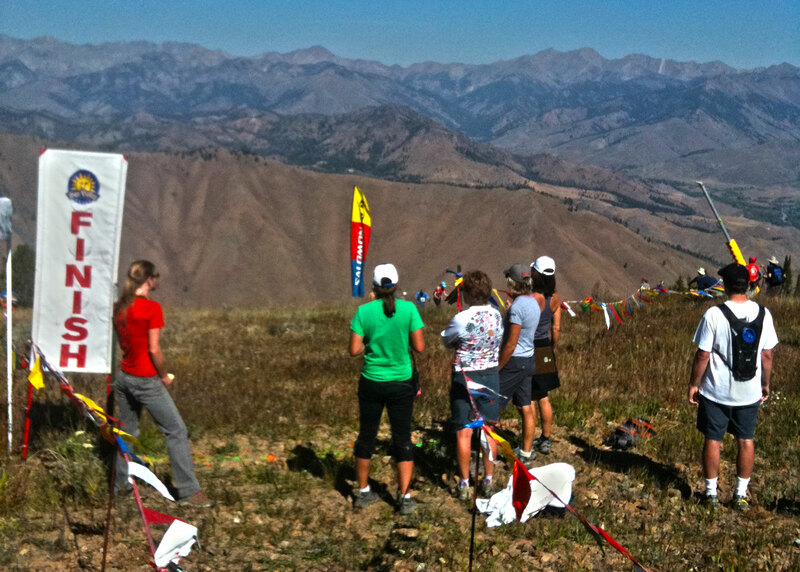 Today was the 33rd Annual Baldy Hill Climb in Sun Valley, Idaho - A true all-comers affair that doesn't seem to favor athletes from any one sport. All you need is to bring a will to suffer and, if you want to be at all competitive, a training regimen and VO2 max in line with the past, present, and future Olympians who always toe the line next to you. 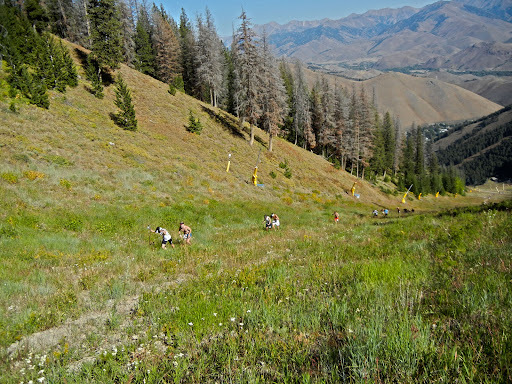 The course is 1.9 miles straight up the Warms Springs run on the Sun Valley ski hill, climbing just under 3,200 vertical feet and offering no where to hide. 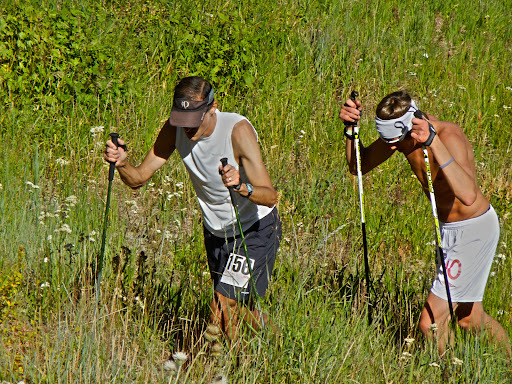 Michael Tobin of Boise - at age 48 - took top honors in the men's division in 37:08. Chelsea Holmes of Ketchum won the women's side in 42:36. Full results. My race was more modest. I finished in 47:03, about 20 seconds slower than my PR in the event, set in 2006. And I felt pretty solid throughout, but, I had trouble pushing beyond the hard-but-within-myself level. Any time I really worked to pick up the pace a bit, I shot quickly into the red zone and had to dial it down so I wouldn't blow up and limp home in 60 minutes. But, 47 is respectable. I'm generally happy with it. It's two minutes faster than a good training effort a week ago, and fully seven minutes faster than an attempt two weeks ago. So it would have been unreasonable to have expected much more. 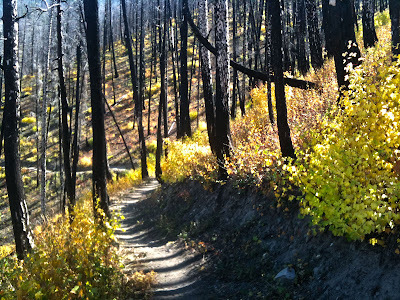 To cap the day off and to get some extra miles, I took the long way down to the base, following the 11 mile Broadway/Warm Springs trails from the top. After the single file sufferfest up, it was an easy, sunny, and beautiful cruise home. Cruising home. Fall in the Castle Rock burn.